IntelliSpot® TV is a digital signage solution that allows you to present and control information such as advertising content on a presentation medium (screen, projector, etc.). Upload your content, such as pictures or simple text, PowerPoint presentations, video clips, flash animations and much more and assign them freely selectable screen positions. You also have the possibility to rely on predefined templates. 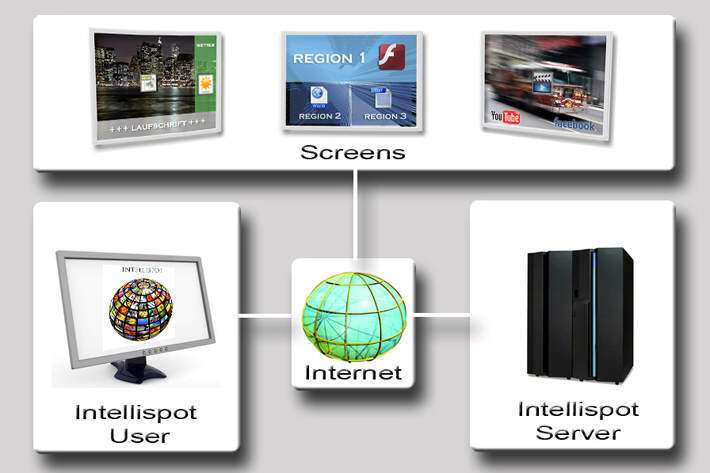 All you need to manage IntelliSpot® TV is an Internet connection. Administration is completely web-based and is therefore independent of location.